Good news guys, we won’t have to be asking when is Joker coming to Super Smash Bros. Ultimate any longer because Nintendo have come out and announced Joker will be releasing on April 17 for those in North America and April 18 for those in Europe and Japan. REDMOND, Wash., April 16, 2019 – In a new video released today, Nintendo unveiled that the new playable fighter Joker from Persona 5, the Mementos stage and several Persona series music tracks will be coming to the Super Smash Bros. Ultimate game for the Nintendo Switch system on April 17 for players who own the Super Smash Bros. Ultimate Fighters Pass or purchase Challenger Pack 1*. 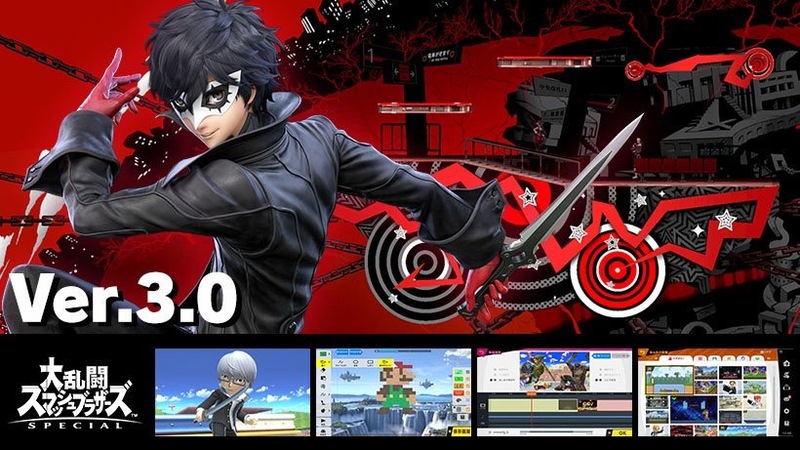 In addition to showcasing Joker in action, the video also highlighted the free Version 3.0 update for Super Smash Bros. Ultimate available on April 17, which will introduce a new Stage Builder feature, new video editing features and the Smash World service for the Nintendo Switch Online smartphone app**. To view the video in its entirety, visit https://youtu.be/FmuTGcbu4Kc.